This recital is presented in partial fulfillment of the requirements for the Music Education degree. Bryce Daniels is from the studio of Dr. John Hennecken. 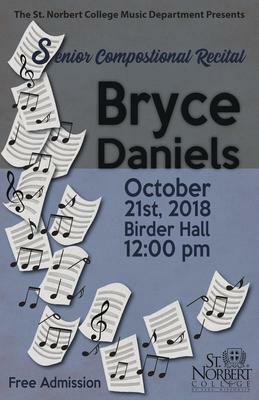 St. Norbert College Music Department, "Senior Composition Recital - Bryce Daniels" (2018). Music Performances. 68.